I first met Madeline Fuhrman on the night of the 2013 Grammy’s. We were both grabbing a bite to eat before heading into Osteria Mozza which housed the Def Jam Records after-party. It’s a chance encounter like this that has been a staple of Madeline’s career trajectory- one that started with musical theater, included aspirations of a professional tennis career, found her studying in France at age sixteen, and landed her a coveted gig at The Roxy all before leaving her teens. You only need to hear her voice- an edgy, powerful, yet vulnerable sound- to know she is an old soul and one glimpse of her confirms the essence her sound emits. At age nineteen, her music video and latest release “Something Beautiful” debuted March 1st as a Nylon Magazine exclusive. PPLA was thrilled to sit down with this songstress, who told us “music is the first thing I’ve approached with zero expectation and all of my heart” to find out what’s next. PPLA: Tell our fans about your early journey into music, how did this become your passion? MF: I like to say that music slapped me in the face! I was always interested in music. I played piano when I was very little, before I could read. It’s a really funny story actually. I was five years old and I really wanted to play piano but the lady at the store said ‘no you have to be six years old, you have to be able to read’ and I so I put my hands on my hips as this little five-year old and said ‘I want to play piano now’. This one teacher there found me amusing, and he took me to his studio and would play something and I would play it right back. Over the years, that is actually how I learned piano, by watching people play and just playing it back. Needless to say reading music is not exactly my forté, even though I can do it now! Also my younger sister started taking voice lessons so of course I wanted to take voice lessons. We were always piggybacking off each others activities; we are three and half years and four days apart! PPLA: Your sister, Isabelle Fuhrman is an actress (Hunger Games) and I understand you started in acting as well and actually almost considered a career as a professional tennis player. MF: I was an actress; I did stage, mostly musical theater, and all that fun stuff. I would sing in these plays and nobody would tell me I was bad- like there’s video and I was horrible. I was trying so hard to sing these songs and push myself but it just sounded awful. I only recently saw these videos which are rather embarrassing! So I kind of stopped singing, acting, and playing piano for a long while, because at the time I was playing tennis seriously, and my goal was to play professionally. I was a top ranked junior in the South. I grew up in Georgia for most of my life and I played competitive tennis there. That was my life. I would wake up, go to the gym, then go to school, then I would play tennis for two to four hours, go home and go to bed, and do it all over again. Thinking back, it was totally nuts! I started to play piano again just because I missed it. I started learning more popular songs, and I would just sing along with them and one day my Mom said to me ‘where did this voice come from?’ So I started to pay attention to who people said my voice sounded like and learned those songs. For example, I would get parallels to Norah Jones so I would go and learn Norah Jones songs and my own sound evolved from there naturally. Music wasn’t ever really a focus of mine. PPLA: You have a very distinct sound now. MF: Thank you. I think my voice sounds kind of spoken; it’s got that old world soul to it and it feels like it could be androgynous. You can’t tell what my ethnicity is if you close your eyes, and I think that is what’s really cool about it. I feel like I’ve combined every influence of mine and everything that everyone has told me about my voice and just kind of run with it in a really organic way. Maybe that is why this whole music thing is panning out for me! PPLA: Your music has a French influence, can you tell us about that? MF: I lived in France on my own when I was just sixteen years old, and I speak fluent French. I wrote “Sourire” (“Smile” in English) which is the first song I wrote in French and is tattooed on my wrist (showing me the word sourire inked in black on her tiny wrist). It was my dream when I was eight years old to live in France and speak fluent French. PPLA: That is an interesting dream for an eight year old. How did this come about that you lived in France by yourself as a teen? MF: I found this program called SYA- School Year Abroad. It’s as simple as that, and I went abroad through them and all of my classmates were American but everything was taught in French, except for Math and English. I was proficient because I had been learning since I was eight years old. During my stay, I switched host families and I started speaking to my new family more and more in French and after two months, I was completely fluent. The French language tied in to my music because of my Mom. When that Edith Piaf movie (La Vie En Rose) came out my mother pointed out some similarities in our voice so I started to learn Piaf. Her music is French but it is also kind of jazzy and it has it’s own folsky thing to it. That is where I really started to find my voice by learning all these French songs. People would say when I sang in French it sounded more fluent and more natural then when I would sing in English. So I originally went to France to build my international ranking for tennis so I could be more attractive to colleges, but instead I was there and I started to sing on the streets for cash. I would go to the markets in the flower section with my guitar, which was not as successful as when I went acapella, and I would sing Piaf every Saturday. I just sang and I projected, and I would move around the whole market and people loved it. I would make about 40 Euros in two hours and it was great practice because that’s a lot of work- 2 hours a capella singing in front of people at a volume that can be projected! My friends would come and sit at the cafés nearby and sip coffee and support me. PPLA: You mentioned that you had been learning the language since you were eight, what inspired that at such a young age? MF: I met these girls on the beach in St. Barts. My Mom is a journalist and was doing a story there and I couldn’t talk to them because they spoke French only and I spoke English. I love to talk to people and I love to share who I am and learn about others, so that really just bothered me . I actually grew up speaking Russian because my mother is Russian and had come here from the Soviet Union after the fall of the Berlin wall. It’s funny because I would always beg for her to speak to me in English, and to this day I still regret it because I speak Russian now but only enough to get by. That said, I had been exposed to other languages at a young age so it was a natural curiosity for me to want to learn French after my encounter with those girls on the beach. PPLA: When you were in France was there a conscious decision to leave tennis behind and make music your career? MF: I was on a traveling tennis team in France but when the season ended, I started spending a lot of time writing music and playing guitar. When I switched host families, they had a full piano and a son who played. I began to write music to the French poetry that we were learning in class because I love French poetry; I’m such a nerd! Music is the first thing I’ve approached with zero expectation and all of my heart. I keep working hard toward it and I’m focused now on my music and building my brand and myself as an artist. I’ve enjoyed every single moment of it and have been lucky that everything has just fallen into my lap. I have just seemed to attract these opportunities. One day while I was singing on the streets in France, this lady dropped her card in my hat. I looked her up and found that she sang every Wednesday at this piano bar called Le Pink, so I went there. I think it was that first evening that I really realized that music was what I wanted to do. She invited me on stage and I was playing one of my songs that I had written on the piano, and I wasn’t expecting to play that night or there to be this band behind me. While I was performing, the band added some little drums and a simple bass line and I just remember that moment so well because it was the first time I heard my song bigger then what I had created in my head. I thought ‘Wow, this could be really cool’. Then while I was still in France, I randomly got this email from the Berklee School College of Music to apply for their summer program. I thought, ‘you know what, if I apply and they think I’m good then maybe there’s something there’ and I got in. I attended that program for five weeks right after I got back from France. I learned a lot like about vocal control and I fell in love with the school. I was planning to continue to go to the school until the next series of events in my life just happened. I came back to LA (my family had moved to Los Angeles four years prior because of my sister’s acting career) and I booked my first gig at The Viper Room. After that I started to book a lot of gigs on the Sunset Strip, including a seasonal thing at the House of Blues, Voodoo Lounge. So I entered my last year of high school with absolutely zero intention of continuing tennis, although I did play and we ended but winning state championships! PPLA: How did your first album come about? MF: Well that same year, my senior year, my school had a Battle of the Bands and I wanted to join but I didn’t have a band. So I Googled the definition of a band and it’s an accompaniment with vocals or more than one instrument. I figured I had two instruments my voice and the piano, so I entered as a one woman band and I won. We had really awesome judges including Duff McKagan from Guns ‘N Roses and Rob Light who is a music agent at CAA and some other great judges. I won twelve hours at Westlake Studios with an engineer. That’s the studio that Michael Jackson recorded Bad so it was really exciting, but I didn’t want to use it until I had a full band. So I went to France for the summer and after senior year, I visited my sister who was on set filming Hunger Games. While I was there I met Lenny Kravitz who noticed a harmonica necklace that I wear. We started chatting and he wanted to hear my demo…but I didn’t have a demo! So I finally went in to Westlake and recorded my songs. By that time, Lenny had gone on tour, so I had this demo and I needed to shop it around. I connected with a publicist who referred me to Jason Hollis at Punk Aristocrats. Jason develops artists and is really amazing at packaging everything together. He focuses on the branding and because I’m so business driven that obviously spoke to me in creating the type of empire for myself that I want to create. When we finally connected, he said ‘I love your voice, let’s talk’ and I really wanted him to hear my newest stuff which wasn’t even on the demo and is darker and moodier.We met and he really felt that I was a hustler. I knew that going to college wasn’t really what I wanted to do at the time when I could start pursuing my career right now. I always remember he said, ‘if we’re going do this, I like to work hard, fast, and to the point’ and I was like that’s exactly how I like to work! PPLA: So you have been working with Punk Aristocrats for over a year now and are you working on new music? MF: Now we have the EP done. I started working with writing partner Dan Dixon who is also a producer at Punks. He wrote “Should Have Known” and I went in and changed a few lyrics and wrote the second verse and we just decided to put that out as our first tester to see how it did. We did it on totally a zero budget, absolutely everything from the recording, to the mixing, to the music video which was the three of us walking around Pasadena filming me in this park. The whole thing was mixed and recorded in two to three hours! “Should Have Known” did really well and started to gain some traction so we wanted to put something else out there. I had actually been sitting on this kickstarter song before I had met Jason. The song came about one day when I was just messing around on Garage Band and I came up with this beat and then I started to write this rap to it. It’s like “Hey everyone, my name is Madeline, I’m a singer, a dreamer, a musician…” (laughs) and so I recorded that at home and Jason mixed it at home on his computer and we put that up as the Kickstarter. We raised about $23,000 which we used to record my EP. After that, people started to take me much more seriously because I did that all on my own. It’s been really great to have people support and attach themselves to me, and not just financially, because they believe in what I want to accomplish and that I will accomplish my goals. PPLA: So your new video “Something Beautiful” was just released. MF: Yes! It released on NylonMag.com through Nylon TV. 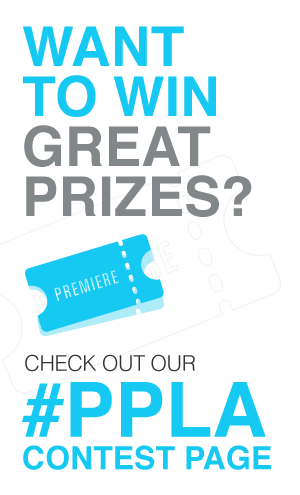 PPLA: Do you have any upcoming L.A. gigs? Where can fans see you next? MF: I am playing Wednesday March 20th at the bar Eleven in West Hollywood at 9pm. We’re actually starting pre-production for my next music video which is going to be for the title song of the EP “Fragile” and it’s going to be really cool! My sister is directing it again and it’s going to be very Old Hollywood, black and white, super grainy, like Breakfast at Tiffany’s meets Pretty Woman. Isabelle actually made her directorial debut with my first video, and I wouldn’t just give it to her either! (Laughs) She came up to me and she said “Madeline, I really want to direct your music video” and I was like well you have to pitch it to me! PPLA: So do you have any dream collaborations with other artists? MF: I would love to write a song with Jessie J because I feel like she’s an incredible writer and she has such a way with words. Leonard Cohen would be a great writing partnership because I feel like my songs accomplish a very personal tone while still achieving that radio commerciality. Of course, I’d love to work with Adele. I think collaborations really help drive home what you’re trying to share because it gives you another perspective of how they’re doing it and you can kind of play off of their lyrics. I’m inspired by so many lyrics from other artists, and I try and take that and word it in a way that is personal to me. You know what they say ‘steal like an artist’. There’s a quote from a book that says a thief steals from one but an artist steals from many. The book also discusses how you should take all your influences and all of the people that you respect in this industry into what you want to accomplish. You follow their path and learn from what they did and mesh that experience together to create what’s original as your own. PPLA: What inspires your songs? MF: I would say that all of my songs come from personal experiences. I write my best songs almost subconsciously. I have a very hard time connecting with exactly what I want to say when I sit down and say ‘okay I’m going to write a song’ and so I like to write the music and just kind of feel it out for a while. “Something Beautiful” was written totally as a fluke because I had Tweeted that morning ‘today I’m going to write something beautiful’ and I was just going to work on my instrumentation. The original version of the song has a 30 second intro because I wasn’t originally planning to write words with it, but I wanted to structure it properly so I started to ad-lib lyrics. I’ve kind of taken that route in the way I write songs. Sunday is usually a very big writing day for me. I feel the morning light and the chitter chatter from the farmer’s market across the street and for some reason, Sunday is just a day that I write. I also write really late at night with my headphones on a lot, or while walking the dogs. I always have to bring my phone with me because I start just singing into my phone at any time! I’ll be with friends and I’ll pick up my phone and just start singing lyrics because I write songs on whatever grabs me. PPLA: Is there anything else you want our fans to know about you? MF: Well I haven’t talked about Bang-Nation yet which is the beginning of my brand! I started to get tweets from fans about Madeline inspired hats, Madeline inspired sunglasses, or my Madeline inspired haircuts! I decided to create Bang Nation and it’s my website with a map of the world and my fans from all over the world have sent in pictures of their Madeline inspired haircuts, purchases, etc. It’s really entertaining! It’s funny because I am very laid back about my own fashion. It’s very chill and I love gold, anything gold on black, but it has evolved into this thing that’s super fun. I have been doing all of these live chats so if you’re on Bang Nation you can use the video calling and we can chat. That’s my own creation and anybody that has bangs or crazy sunglasses or big hats can join! PPLA: When you are not working on your music, do you still play tennis for fun? What else do you do? MF: I have my rackets in my car. I should play more often. Sometimes I coach. Now that it’s getting warmer I have to do it more. PPLA: Ideally, where do you hope your career will go next? MF: I’m going to keep writing and growing into my voice. I feel like I’m constantly evolving as an artist and as a person, so I’m really excited to see where my work is going to take me next. I really believe that everything will pan out the way it’s meant to be, but with that said, my fingers are crossed for the 2014 Grammy’s!